Regular readers will know that I do not regularly post book reviews From My Kitchen Table. In fact I have only ever reviewed one other book, Uncut Diamonds by Karen Jones Gowen. You can read that review here. But I have just finished one of the very best books I have ever had the sublime pleasure of reading. A book which will now definitely be on my Best Reads Ever list (which actually is not that long). 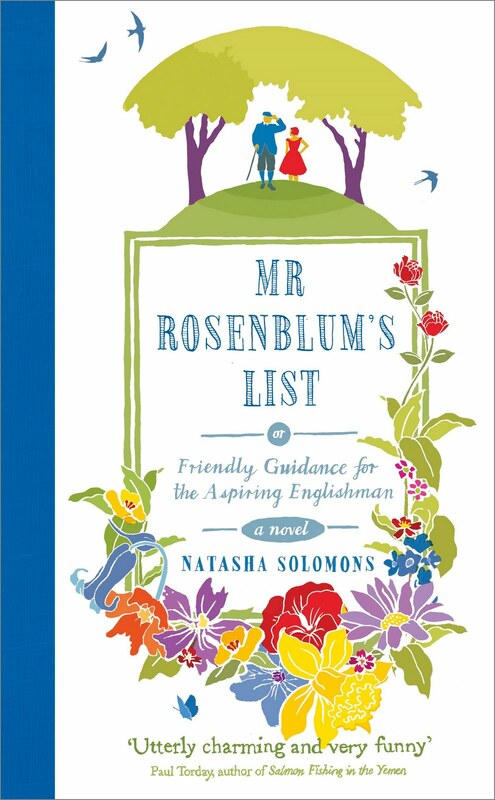 Mr Rosenblum's List (or Friendly Guidance for the Aspiring Englishman) by Natasha Solomons is quite simply a wonderfully warm, witty and engaging read. It comes very close to being my ideal book - full of vividly drawn, vulnerable, eccentric and charming characters (not an axe murderer among them). This is a book to lose oneself in. Solomons manages to create a world so real that you will find yourself totally immersed in it while reading. Along with immensely likeable characters, Ms Solomons beautiful and evocative descriptions of rural Dorset are liberally sprinkled with ancient myth and lore and a deep love and reverence for Mother Nature. Mr Rosenblum's List was one of those rare reads - a book I hated finishing. If you prefer to be entertained and uplifted rather than educated or challenged by a book - this one is for you! The lovely Olive O'Brien, writer of children's books asked me to write a Guest Post for her lovely Blog, Write Olive. And so I did! The post is entitled My Books, My Friends. So head on over to Write Olive, have a read and leave a comment. Don't forget to tell her I sent you! I hope you enjoy. And thanks Olive for honouring me with a guest appearance on your blog! 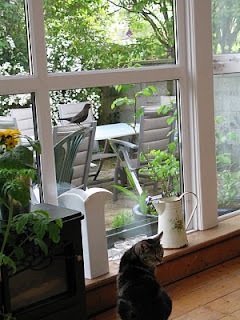 The Mrs Blackbird – v- Kitty saga has continued apace since I posted ‘Bang Bang Birdie’ last week. Although I wouldn’t have thought it possible, Mrs Blackbird has upped her game. 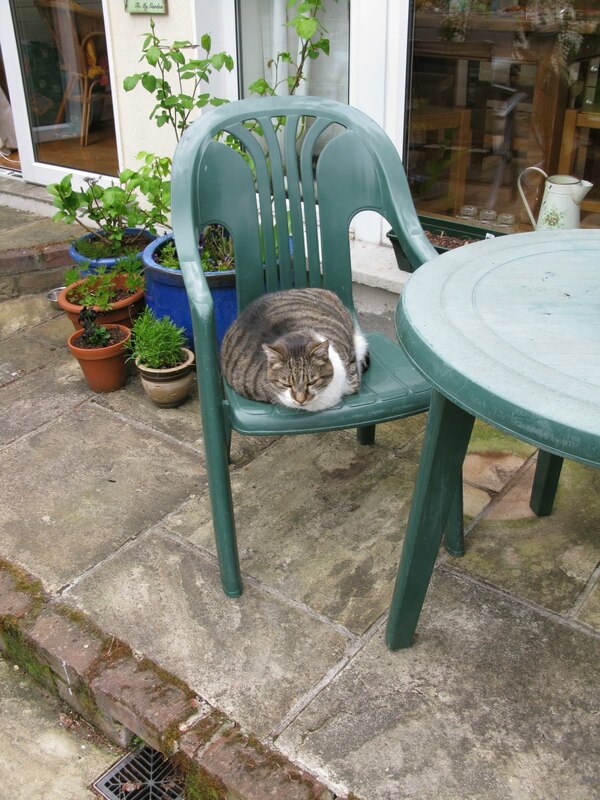 Kitty now only has to pass a downstairs window and Mrs Blackbird zooms up the garden, screeching bloody murder. She then lands on the patio and continues hurling abuse at a very bemused Kitty. Last night, Kitty clearly decided to take matters into her own paws in order to restore her feline credibility. And so she did was Kitty does best and caught a mouse. A little field mouse, which she (brace yourselves ladies) brought into my bedroom, through an open window, at 1.30am this morning. Needless to say she had chosen her moment cleverly as my other half was away. So I woke up, alone in my bed, aware that Kitty was making odd sounds in the bedroom. I sat up and turned on the light. And there she was staring straight at me, saying “scaredy cat? Lets see who is scared now?” At her feet was the little mouse. As the implications of this situation seeped into my sleep fuzzed brain, I prayed “please God in heaven may this mouse (who was not moving) be dead”. With that the mouse took off under my chest of drawers. And Kitty decided to leave him there as she vanished under the bed. By now I was up and out of bed and lifting anything off the floor that I thought a mouse might climb into (shoes, bags etc), I then opened the curtains so that the open window was clearly visible and accessible, on the off chance that Kitty might think enough was enough and remove the mouse from whence it came. Wishful thinking all. Mouse stayed put and so did Kitty. “Mia I need your help” Mia readily agreed to be the one to remove the mouse. I equipped her with my industrial workman gloves and got a torch and we re-entered the room. All was as before and Mia on hands and knees reported that “ahh, he’s cute and yeah he is there, under the chest of drawers”. We discussed tactics which broadly speaking involved me moving the furniture and shouting instructions while Mia calmly and swiftly cornered little mouse, cupped him in her gloved hands and headed for the window from where he was launched into the night. Mia also intervened when I attempted to grab Kitty and launch her after the mouse! And so it was that at 3am this morning Mia and I were in the kitchen having a celebratory glass of juice and me handing over the €5 bribe reward to my darling, brave, heroic, animal loving daughter. As we retired back to bed, we passed Kitty on the stairs and I swear she was grinning from ear to ear! I don't think I will slag her anymore! STOP PRESS: I finally caught Mrs Blackbird yelling birdie obscenities at Kitty who is getting a bit fed up of having no peace at all!!! I am very glad that I don’t own a gun and that I live in country where it is generally against the law to own one. Because if I had a gun, last week I would have shot my dog, Dylan. He had a charming dose of the trots FOR 3 DAYS. 3 mornings of cleaning out his bed (crate) before breakfast to a chorus of “ohmygod, that’s just disgusting” from my darling precious daughters who would have run the risk of being shot too. This week I would shoot Mrs Blackbird. Yep, that’s right. Mrs Blackbird. I would point my gun and BANG. Feathers all over the place. And then PEACE. QUIET. Now before you rush to judgement – let me ask – have you ever heard an agitated Blackbird. They make the most annoying racket and it goes on and on and on. The problem clearly is that Mrs Blackbird is a mammy. She must have a nest full of baby blackbirds in the tree at the end of the garden. I am also assuming that this particular Mrs Blackbird was a bit sloppy when it came to doing her background research on a suitable location for her nest. She clearly saw the tree and letting her heart rule her head, decided “This is it”. “This is my tree. This will be my new home.” Had she come back for a second viewing before finally making her mind up (and had she bothered to tune into Kirsty and Phil she would have known all this), she would have realised that she was making a nest at the end of a garden belonging to four cats. But this morning took the biscuit altogether. I was sitting trying at my laptop trying to work on a story. I have gotten somewhat used to the incessant squawking but all of a sudden it seemed to go up a gear and get louder. “Oh shut up” I roared as I turned around to see Kitty sitting indoors on the window sill and Mrs Blackbird perched on a patio chair directly outside the window telling Kitty exactly what she would do with her if she even put one leg into the garden. I was stunned. Of course I had no camera to hand. 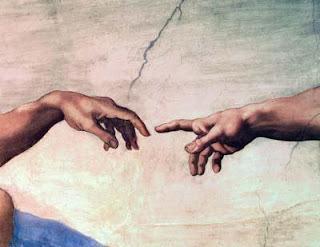 My blog has been a bit serious of late and need some light relief. My daughter, Carla is a great source of such relief, particularly recently. For the information of my readers from outside Ireland, the GPO (General Post Office) is an imposing building on Dublin’s ‘main street’ which was the scene of a lot of the fighting during the 1916 Rising and from where the Proclamation of the Irish Republic was read. It is a building with iconic status for that reason… so much so, that you may already know all this. Anyway Carla is my eldest. 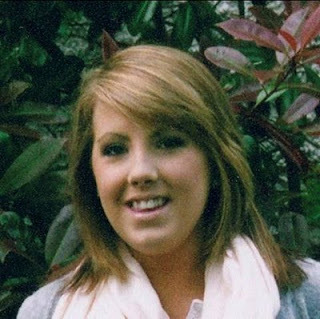 She is a bright girl, who received a good education and now has a successful career as a Travel Agent. However until last week, her work was always based in our local town, Dun Laoghaire which is a suburb of Dublin City. She is a creature of habit and a home bird and I am only now realising how little she has ventured into the city in her 23 years! Note to reader – she really is a successful Travel Agent. Note to reader – the DART is the rapid rail system in Dublin. Tara Street is the only station on the quays. You could fall into the river, exiting the station. 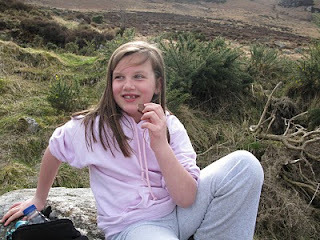 Me, (thinking) I must congratulate Paddy, her boyfriend on his patience. I am shortly going to prepare dinner. I hope she gets home OK.
P.S. She has approved this copy before I posted it! She also has a sense of humour! She is a great girl altogether…. As long as you are not relying on her for directions!